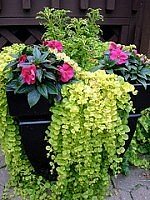 Container Garden Ideas: Top rated photos and design ideas, container gardening flower pictures, and lots of tips and techniques for making your design the best! 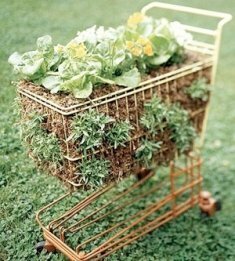 Have A Great Idea On Container Gardening? Sparking Container Garden Ideas isn't what most Container Gardeners think they need to do. But, when it comes to Container Gardening, it's not all about Annuals and Perennials in pots and hanging baskets. Those avenues are gorgeous and a sight to behold. But, there's a lot more beyond the Patio Garden and colorful containers you have on the front porch. There are multiple ways one can satisfy their cravings for Planter Gardening. Yep, you read it right...... Cravings! If you don't have them, hold on, you soon will! Below are Container Ideas and Methods you may not have even thought possible. It has a few drawbacks and a few perks. Read up on our reviews and tips to see if the upside down planter is for you. Learn all you need to know to make winter gardening with containers a successful venture. It's one of the greatest ways for gardeners to make it through the "winter time blues"!! Check out some cool and intersesting tips and techniques on raised bed construction and maintenance. 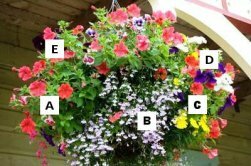 Tired of simple Hanging Baskets or Window Boxes? 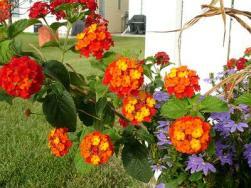 Check out these helpful Container Gardening Tips and Container Gardening Pictures. Patio Gardening could be the way to unveil a spectacular Container Garden with not a lot of time and work! We'll talk you through an easy way to beat the winter-time garden-blues. How?...Indoor Container Gardening. Want to eat healthier or just lower the grocery bill? 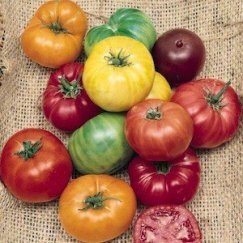 Check out these instructions on Container Vegetable Gardening. No better way to Green Garden than to practice Organic Container Gardening. For an exciting way to expand your horizons, check out these ideas for growing bamboo in containers.